Makaibari has pioneered Organic, Fairtrade and biodynamic practices to tea and tropical agriculture; it was the first garden to be certified Organic in 1988, Fairtrade and Demeter in 1993. "Partnership, not ownership" it is the idea which inspires most of Makaibari's Corporate Social responsibility agenda initiatives. G.C. Banerjee established the first tea factory in the world at Makaibari in 1859. Since 4 generations Makaibari is the only Darjeeling Tea garden which never belonged to the British. In 2014 The Company allied with Rudra Chatterjee, the young dynamic Director of Luxmi Tea, who acquired a major stake at Makaibari Tea and Trading Company. Rajah Banerjee continues as the Chairman, overseeing the positive evolution of Makaibari's holistic practices. The collaboration, ensures Makaibari's sustainable initiatives soar to even greater heights, in an ever increasing arc of radiance , that will uplift the livelihoods of many more, far beyond the boundaries of Makaibari.The collaboration has immediately yielded positive results, giving birth to the new Makaibari Tea Treasures top quality teas. Makaibari has been a pioneer of holistic sustainable agricultural practices, twenty five years ago. Futuristic plans are afoot to have an innovative use of all the surplus bio mass as an alternative source of fuel to dry the tea. Once the proof of concept is in place, it would be a trail blazer to the entire tea growing global community. This would be a veritable boon, beyond the tea estates and have the potential to impact and uplift the livelihoods of millions of marginalized farmers globally. "I was born at Makaibari, as my father was too. Never lived at home, as I was at boarding school and later oversees at University. Fell from my steed on 21 August 1970 and discovered the wonder of nature's bounty-holistic sustainability. That was the day Makaibari took me on board- I did not take her over. In fact it was a makeover!! A makeover that commenced an evolutionary voyage to release sustainable synergy. An impulse that creates Healthy Soil. 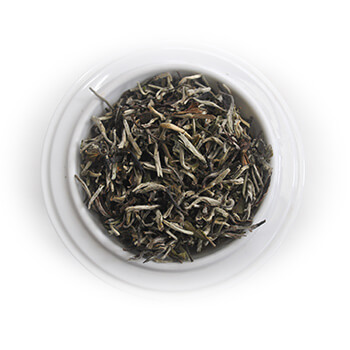 The tea is the surplus, that stems from the Makaibari Tea Estate's farmlands, that we share with the world. Hopefully all sipping the cup, are positively uplifted by the magical mystical herb, that contains the spirit of Makaibari. I was born in the tea bushes of Makaibari, educated elsewhere, only to be reborn with a thump to be of service to the magic of Camellia Sinensis."